PHILADELPHIA – The Democratic National Convention keynote address on Wednesday night drew thunderous applause before the speaker even said a single word. The man of the hour: President Barack Obama, who began his speech reviewing the litany of his administration’s successes over the course of his nearly eight years in office. Each political victory the president claimed brought about a row of cheers and applause from the audience; he received particularly emphatic celebration from the crowd for “delivering justice” to Osama bin Landen and passing the Affordable Healthcare Act. Obama spoke to what the country witnessed during last week’s Republican National Convention, he described the message of the event as “not Republican,” nor “Conservative,” but “deeply pessimistic.” Afterward, he said Democrats, on the other hand, have hope in this country’s direction—a hope that reaches people of all different backgrounds. 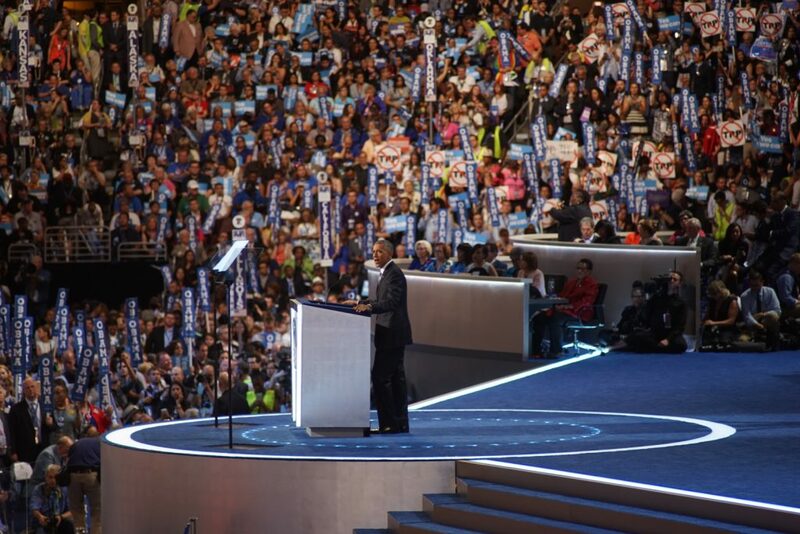 That’s when Obama first mentioned the lady of the hour: Hillary Clinton, the Democratic nominee for president. 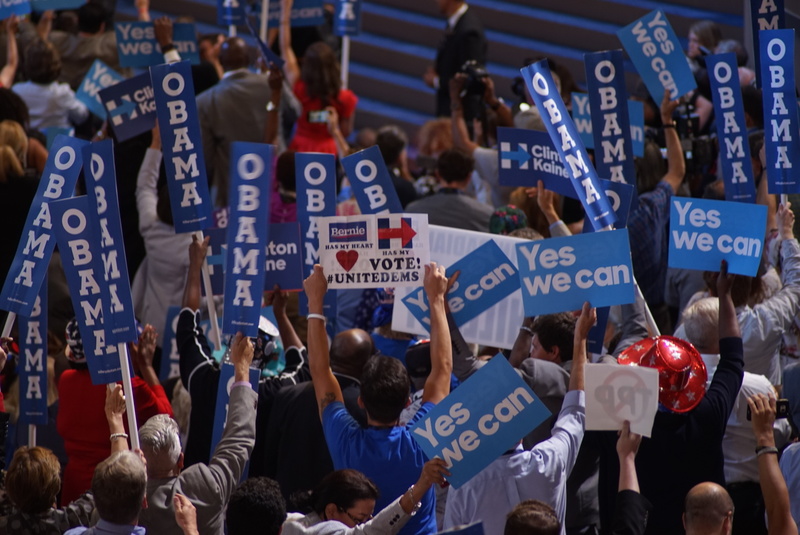 The mention of Clinton’s name evoked a loud and passionate response from the crowd, with a booming the-syllable chant of “Hillary.” Obama followed this with a story about the toughness of Hillary Clinton, retelling the tale of defeating Clinton in the 2008 Democratic Primary and recognizing the potential of having Clinton as a supporter heading into the 2008 General Election. Obama stressed that Clinton possesses the keen judgment needed for the job, saying that there has never been a more qualified candidate to serve as president. President Obama then brought up the largest obstacle standing between Clinton and the White House: Republican Presidential nominee, Donald Trump. Like Clinton, Trump’s name evoked a strong vocal response from the crowd, only now the cheers were replaced with derisions. Obama’s response to the crowd was definite: “Don’t boo, vote!” Obama offered Clinton up as the clear choice for continuing the legacy left by his time in office—a legacy which he described as one of brightness and continued improvement. Obama concluded his remarks asking all of his former supporters to carry Hillary Clinton into the White House the same way they carried him in 2008 and in 2012. Just as Obama was walking away from his podium, Hillary made a surprise appearance on stage to the sound of a roaring crowd. The President and Democratic nominee shared a long, deep embrace before the two turned to wave to the audience while keeping one arm wrapped around the other’s waist. The two headed toward the podium together, but the pair turned back and exited the stage, without either of them saying another word. The crowd continued to applaud.